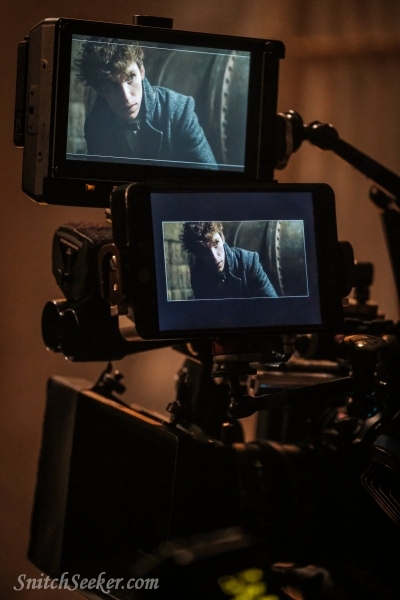 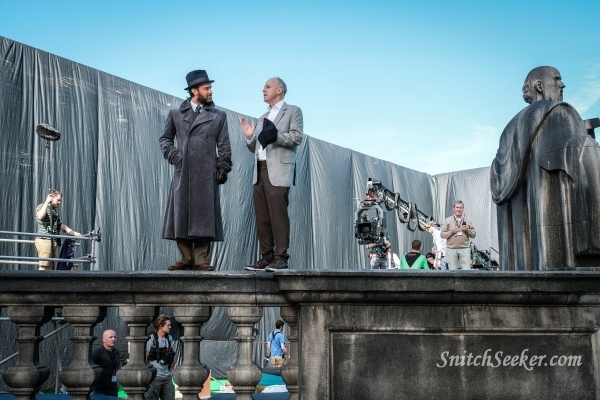 Warner Bros. released five new behind-the-scenes photos from the Leavesden, Paris, Hogwarts, and London-based sets of Fantastic Beasts: The Crimes of Grindelwald. 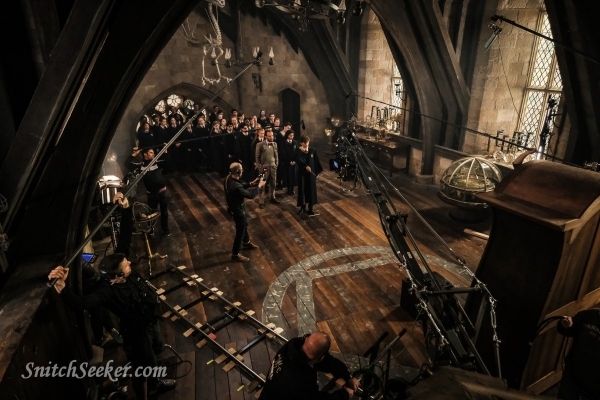 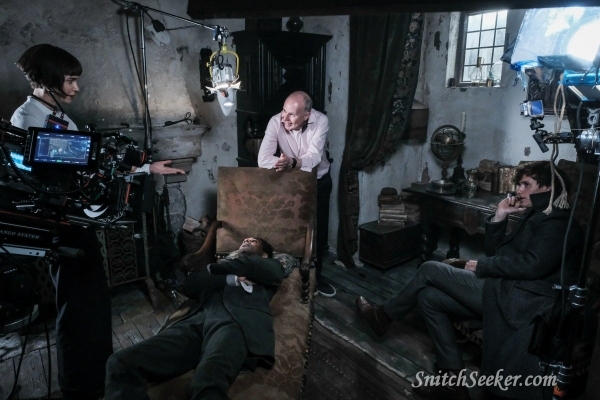 Some of the photos featured director David Yates with his cast on various sets, including: with Jude Law as Dumbledore on a London rooftop set; and with stars Eddie Redmayne, Katherine Waterston, and William Nadylam in Nicholas Flamel's home. 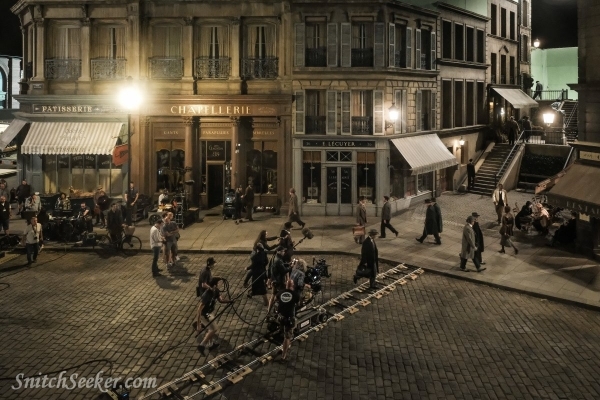 A wide shot of Dumbledore teaching a teen Newt at Hogwarts, a greater 1927 Parisian street view, and camerawork on Newt, can be seen here.